Tonight the Bulls are in New England to take on the presumptive 2018-19 Eastern Conference titlists, the Boston Celtics at TD Garden. Tabbed by many NBA experts as the clear-cut favorites to represent the East in the NBA Finals in June, the Cs haven't gotten off to a blistering start as they return home this evening looking to bounce back from a 1-4 road trip, sporting 7-6 record on the year. After opening the new season in fine shape in allowing opponents just 96.2 points a game in October, Boston's once stifling defense seems to have taken a two-week vacation in November, yielding 110.3 a night. In fact, they've allowed 100+ points in all six post-Halloween games. Last season the Celtics enjoyed a deep playoff run, making it to Game 7 of the Eastern Conference Finals without the help of All-Stars Kyrie Irving and Gordon Hayward, both of whom were sidelined with serious injuries. This year Irving has bounced back quickly, posting team-leading stats of 21 points, 5.4 assists and 1.5 steals while shooting .466 from the field and .405 from distance. Hayward, however, has struggled to regain his old form. The former Utah Jazz star who signed a four-year, $128 million free agent contract with the Cs a year ago has so far been limited to just under 25 minutes a game and is shooting .396 from the field overall and .319 from behind the 3-point arc. Yet the Celtics should easily be able to overcome Hayward's struggles thanks to a couple of high-powered rising stars in second-year forward Jayson Tatum and third-year forward Jaylen Brown, as well as guard Terry Rozier and veteran All-Star big man Al Horford. Boston still has time to sort things out. In the end, they most likely will be serious contenders for the East's crown, but with both Toronto and Milwaukee playing well and a talented Philadelphia 76ers squad hanging around, Boston's path the Finals won't come easy. As for Chicago, they're coming off a disappointing 103-98 series sweeping home loss to Dallas Monday night. 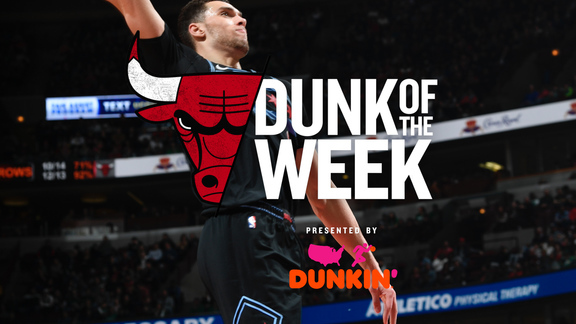 The Bulls are 4-10 on the year, but 2-2 over their last four with lead guard Zach LaVine averaging a whopping 28.3 points over that span. LaVine, now in his fifth year out of UCLA, has scored 20 or more in every game this season, and 15 straight overall. On the season LaVine is averaging 27.1 points, 5.2 rebounds and 4.0 assists a game. The only other players in the league currently posting similar numbers are Golden State's Kevin Durant and Stephen Curry, along with James Harden of the Houston Rockets. 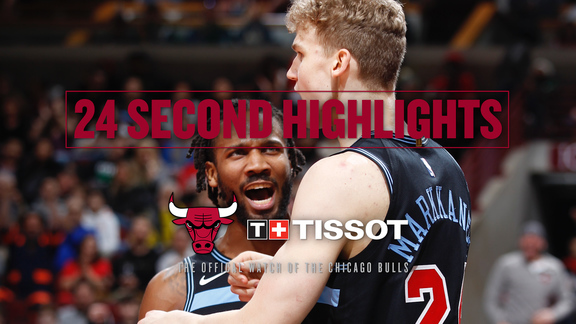 Offensively, on the whole, the Bulls are at their best when they establish a fast and consistent pace right from the opening tip and stay aggressive throughout the entire contest. It is also imperative they wrestle control of the glass at both ends of the floor, but especially so on the defensive side as they can ignite their offense with an unending number of outlet passes to streaking teammates along the sidelines who will quickly push the ball up the floor to deny the defense opportunities to set up and shut down driving lanes to the hoop. In order to be successful Chicago has run the floor early and often. When a fastbreak opportunities aren't available the Bulls then have to open up the middle of the floor by spreading out and tirelessly look to attack the basket. The most effective way to accomplish this objective is to station shooters evenly along the three-point arc to draw the defense to the perimeter and away from under the hoop. The ball must be shared freely, keeping everyone involved in the action. Crisp passing between all five players helps to stretch the defense and in time will force it to overreact and open up backdoor and baseline cuts to the hoop. Defensively, in their first seven games this year the Bulls allowed a ridiculous 119.9 points, earning them a defensive rating of 115.5, ranking last in the league. However, over their last seven games Chicago has done a terrific job of tightening the screws, giving up just 104.9 points and posting an impressive 101.2 defensive rating, good for 5th. In order to pull off an upset tonight the Bulls need to produce another stout defensive effort. To do so they have bring energy and showcase a stubborn brashness in not allowing themselves to be outhustled or outworked. Every player that steps onto the court this evening needs to stay focused and provide energy. As banged up as they are without the help of starters Kris Dunn (left MCL sprain) and Lauri Markkanen (right elbow sprain), as well as key reserves Bobby Portis (right MCL sprain) and Denzel Valentine (left ankle sprain), the Bulls can't afford to play soft. They have to aggressively go after every loose ball and attempt to pull down every rebound to give themselves a shot of coming out on top at the end of the night.